Hey there! I hope your Wednesday has been a good one. Mine started out with my first real run since the race. I was feeling a lot better yesterday and thought I would be fine to get up and run today. It felt so weird as I was running out of my subdivision this morning – it was like I had stepped back in time and was suddenly ‘pre-race’ again. It was weird! I also felt oddly alone and freaked because the last time I ran longer than 30 minutes was at the race with 400 other people. So running this morning in the dark alone wasn’t so cozy. It probably didn’t help that it was 7 degrees either. 🙂 But I got back into my groove (kinda) after a mile or so, and it felt good. My pace was almost a solid 30 seconds slower than normal, but I was ok with it. My muscles were frozen and could only push so hard! After my run I was feeling motivated and did my best to pack healthy snacks for work. 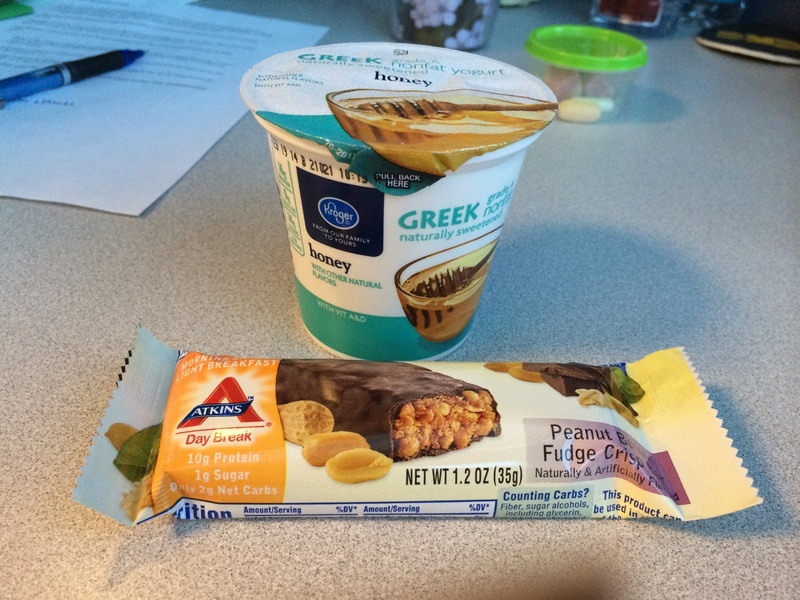 I had some Greek yogurt with this yummy Atkins protein bar for breakfast. I felt good – not too full and not hungry. And then one of my coworkers walked in….with a box of donuts. Why must they torment me with these things?! Can’t they see I’m trying to be good and feed my body non-fried items?? I held off until right before lunch time. I snuck about 3 bites of one on my way out the door to lunch because I was starving. And then I had a red velvet cake donut for my dessert right after lunch…ugh. Needless to say, my tummy isn’t feeling so hot. I’m thankful I ran for an hour this morning! Those donuts really helped me make up the calorie deficit. HA. 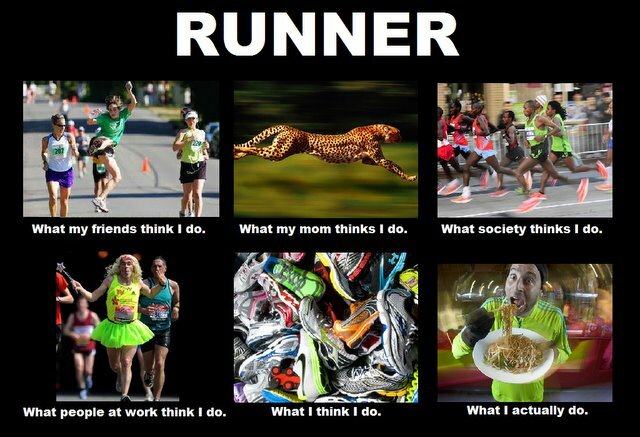 So today, late afternoon, I got bored and found this meme about running. I’m sure you’ve seen them around on Facebook, Google, etc. I think they are hilarious, especially when they pertain to you and something you are personally involved in. Well this one took the cake today, and I immediately sent it to all my coworkers with a bajillion smiley faces over Skype. Yup, I’ve become that person. And now there is a new meme to describe me. I’m not sure I like it. Oh well. The first step in fixing a problem is realizing there is a problem. 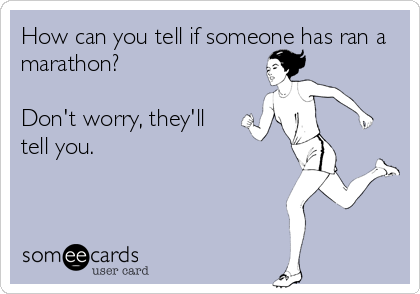 So I’ll kick down the running talk at work. Unless of course they bring it up first. Tonight I’m just enjoying a relaxing night at home with Nick and Mac. I hope you all have a lovely evening! i syfte att beräkna den förväntade vinsten från sina spel.